Capture stabilized 2.4:1 aspect ratio video and panoramic 16:9 still images on your iPhone 5, 5s, or SE with this Osmo Mobile with Adapter Lens Kit from B&H. 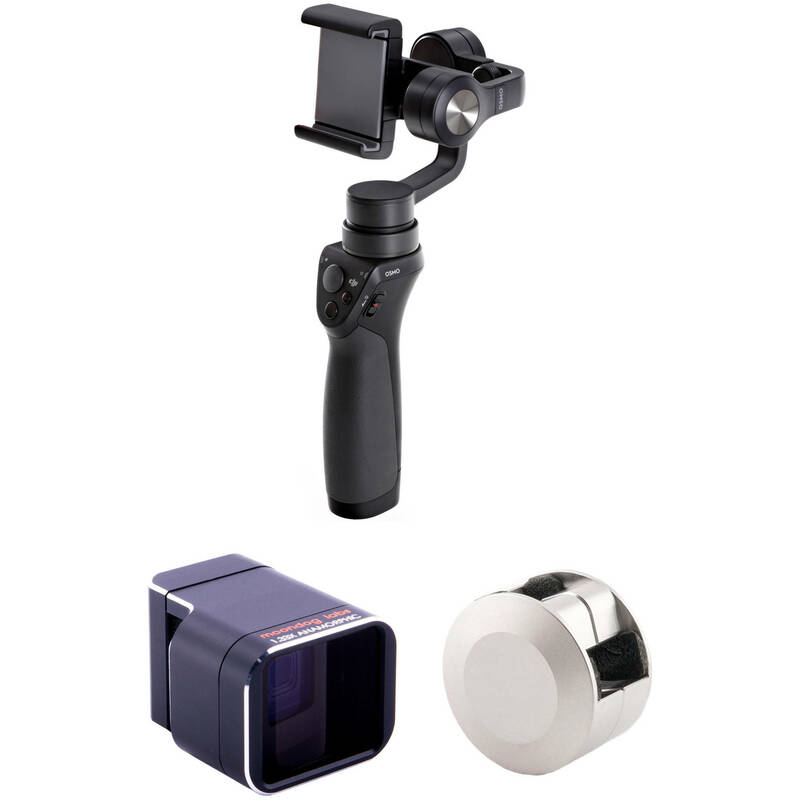 Included in this bundle are the DJI Osmo Mobile Gimbal Stabilizer, a Moondog Labs 1.33x Anamorphic Adapter Lens, and a Moondog Labs Counterweight. By itself, the Osmo Mobile allows you to capture smooth footage while shooting handheld, even when tracking a moving subject. With the DJI GO app, you can use the Osmo Mobile to create time-lapse videos, panoramas, and even stream stabilized footage live for the world to see. Add in the Moondog Labs Adapter Lens and you can shoot 2.4:1 aspect ratio video and panoramic 16:9 still images. By using the adapter lens, you can keep your phone's full resolution while changing the aspect ratio. The lens mounts to your device with a dynamic clamping mechanism. It's made from anodized aluminum and glass, and comes with a microfiber storage bag and an orange plastic protective case. A stainless steel counterweight is included to balance the gimbal when the lens adapter is attached.